For the past several years, the real estate industry has been a “sellers’ playground.” Homeowners who’ve sold their house have done so quickly, usually with multiple offers, and at higher premiums, leaving a lot of buyers with lofty mortgages. Luckily for first-time buyers and others wanting to break into real estate, the tides are finally turning. According to a national realtor survey, there’s been a surge in supply, making homes more affordable and putting control in the buyer’s hands. In many instances, homes are not only staying on the market longer, but sellers are decreasing prices or offering other incentives in hopes it’ll trigger a sale. Even in Denver – where demand has outpaced supply 10-to-1, creating one of the highest priced and most competitive markets in the nation – buyers now have significantly more choices, leading to a much awaited power shift. 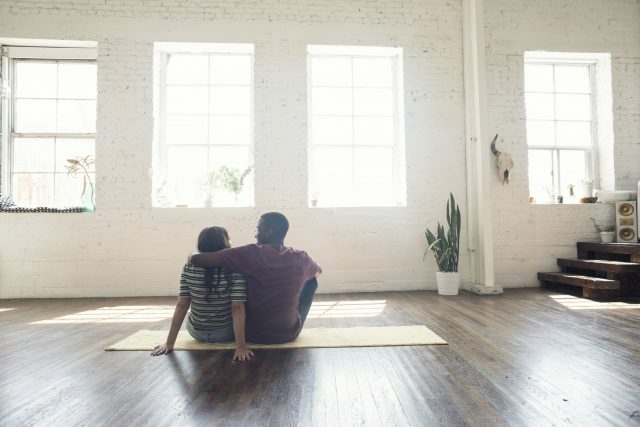 Whether you act now or wait for prices to inch lower, we’ve collected eight insider tips to help you find a home you love at a price point you won’t hate. Unless you’re sitting on a mountain of cash, acquiring a home loan will be a major part of the process. So start getting your finances in order by following these seven tips, including finding out if you’re eligible for any down payment assistance and getting preapproved for a mortgage. While several options exist, FirstBank might be a good place to start. Loan officers aren’t paid on commission and underwrite each loan, meaning they have the authority to make most loan decisions quickly and in the customer’s best interest. In general, most of us naturally gravitate toward round numbers. When setting a budget, it’s far more likely we’ll veer towards $425,000, not $427,300 (the average home price in Denver). Keep that in mind when setting filters on your favorite real estate app or speaking with your agent, because buyer competition is typically higher around those even numbered price ranges. Here’s a solution that seems crazy, but it works: let’s say your budget is $425,000, open up your search to include listings $450,000 and above. The competitors will be fewer and the pressure will be lower. Also keep in mind that homes listed above the recommended asking price stay on the market longer. Employing these techniques will increase the chances of coming across a property that may be willing to concede to a lower offer. Close your eyes and imagine the home you want. Does it have two-car attached garage? Was the kitchen recently updated? That’s a sweet house. When can we move in? Probably not anytime soon. When the housing market is as competitive as it has been, the ideal home will most likely be outside of your price range. It’s a tough pill to swallow, but that’s the time to adapt. Prioritize your needs. Factor in your wants, and be reasonable with must-have features. A solid foundation takes precedence over a kitchen island. Building on that last point, most homes on the market need some work. Heck, most homes are on the market because they need some work. Don’t let that point scare you away from a purchase. There will be some issues around the house that need to be addressed by a professional. But there are smaller issues that can be handled with a quick Google search and trip to the hardware store. Come to peace with this going in, and selecting a house will be easier. Control what you can and don’t let small problems become deal-breakers. There are two similar offers on the table. But Buyer-A is a young couple who are well-mannered folks, appropriately dressed, and generally pleasant to be around. Buyer-B is also a young couple who have a cold demeanor, while lacking respect for the seller’s time. Keep in mind that Joe maintains some personal responsibility for his friends’ future neighbor. Who will get the house? This is one of many examples of why it’s important to present yourself in the best light. It could be as simple as being responsive and communicative with the listing agent. Treat this like a job interview and appeal to a seller’s soft side. Sometimes the spring can be the best time to buy. The market is flooded with new inventory from sellers looking to upgrade or relocate, and real estate usually experiences more listings than any other time of year. However, for first time buyers, you may need to consider a different timeline. According to a 2017 Trulia research report, peak inventory for starter homes is usually October, November and December. While inventory decreases in the fall and winter, the number of buyers takes a bigger dip. It’s no different than beating the crowds at a popular event. People are less likely to make moves in the winter, especially during the holidays. Please, be patient. Just because the market is tough for a buyer, doesn’t mean it’s okay to settle on anything below your comfort level. Purchasing a home is a big step with some risk involved. Go out there and be picky. You got this.